When you find a great foreclosure property and want to buy it, you find out you need all cash. The government has come out with a new mortgage loan called a section 203K loan. Most foreclosure sales require all cash because the property is in bad shape and conventional loans do not allow below average property conditions. 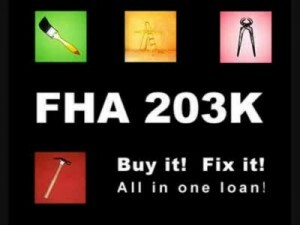 FHA has a new loan to allow buyers to buy handyman specials and fix them up. The buyer/borrower gets one mortgage to acquire and rehabilitate the home. The 203K loan is determined by the projected value of the property after purchase and repairs. This loan is available for owner occupied 1-4 families and condo units. During the loan application the bank’s appraiser will determine the “as-is” values and “value after rehabilitation.” The buyer has to get (A) “plot plan of the site,” (B) “proposed interior plan.” And (C) “work write-up and cost estimates.” The work must start in 30 days and be completed within 6 months. B) changes for improved functions and modernization. D) Changes for aesthetic appeal and demolition of obsolescence. E) Redecorating or replacement of plumbing. F) Installation of well and/or septic system. G) Roofing, gutters, and downspouts. J) Major landscape work and site improvements. K) Improvement for accessibility to a disabled person. No investors allowed. 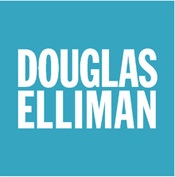 Must be owner occupied but includes multi-family and mixed use properties with restrictions. www.asapmortgageinc.com is currently doing a lot of these loans and is helping my customers. There are some great foreclosure buys out there right now. Get out and buy one now while the supply is up, real estate is out of favor and long rates are low. You will be glad you did in ten years. This entry was posted in blog, Katonah and tagged Foreclosures, Foreclosures for Sale, Foresclosures for Sale, Katonah, Katonah Foreclosures, Katonah Homes, Katonah Homes for Sale, Katonah NY, Katonah NY Homes, Katonah NY Homes for Sale, Katonah NY Realtor, Katonah Real Estate, Katonah Realtor, Westchester, Westchester Homes, Westchester Homes for Sale, Westchester NY, Westchester NY Homes, Westchester NY Homes for Sale, Westchester NY Real Estate, Westchester Real Estate on December 21, 2010 by Robert Paul.